Don't you love it when you get a new toy? I sure do and I'm super happy I got my hands on a Lumix LX5. 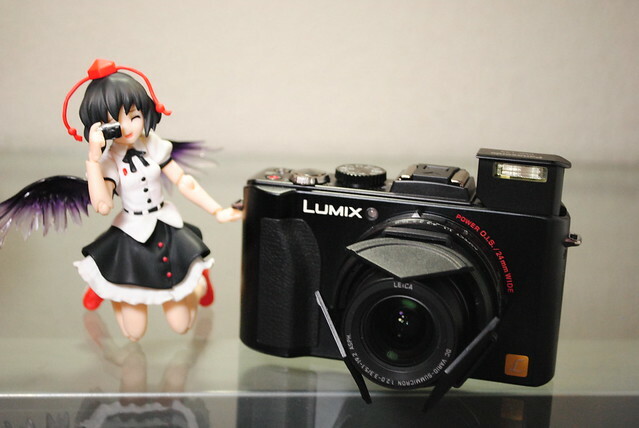 I originally wanted the Lumix LX3; however, back then for some reason there was a high demand for it. 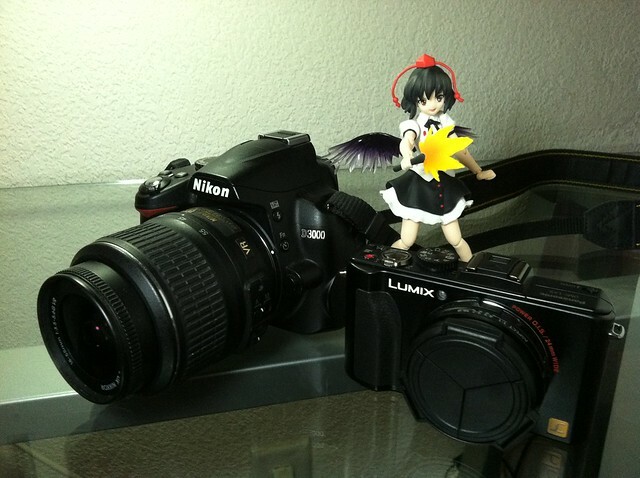 It was sold out everywhere and where it wasn't, the price had a mark up, in the end I bought my D3000. 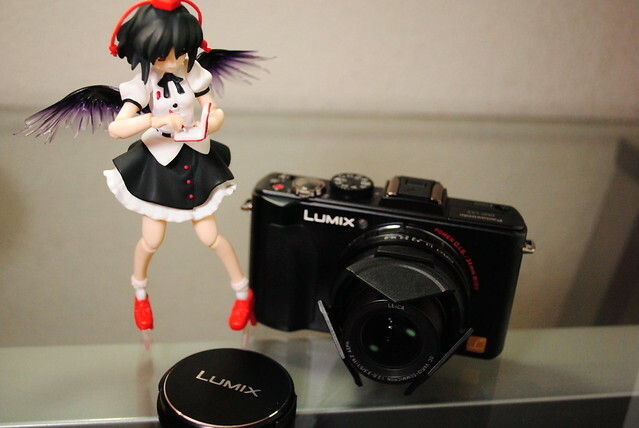 Fast forward to today and there is the Lumix LX5, from reviews the general conclusion was simple. The Lumix LX3 was a favorite, the Lumix LX5 does everything better while adding some changes asked for by the ones who owned the LX3. The primary reason I bought it, which I failed to show properly in this crappy iPhone picture, was portability. I like my D3000 but it's a pain to carry around when I'm around and about with friends and family. DSLR's in general are bulky and heavy, the LX5 is much smaller, fits nicely in my pockets, much simpler to use for a quick shot here and there. 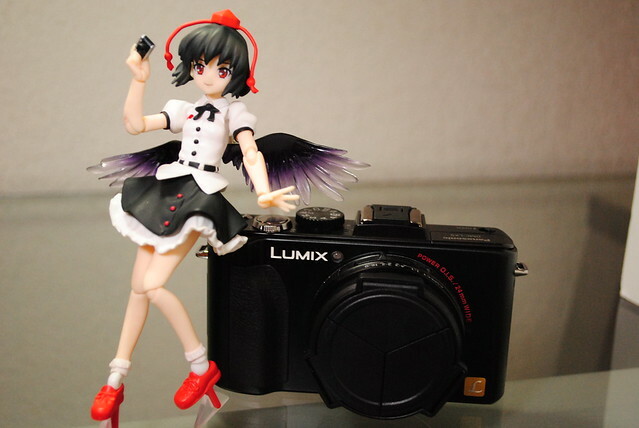 The first thing I did when I received it was change the default lens cap for the spiffy self retractable one. Unlike with the LX3 where it had to be forced in, this one neatly screws in into the camera. Once of the things I like a lot about it are the way the controls are on the camera itself. No need to navigate through menus to change the settings for pictures. I love that you can change the aspect ratio for the photos right on the lens itself. One thing I don't like though, it's the zoom controls, I'm used to zooming in or out by twisting the lens so the controls on the LX5 feels kinda cheap and unintuitive. 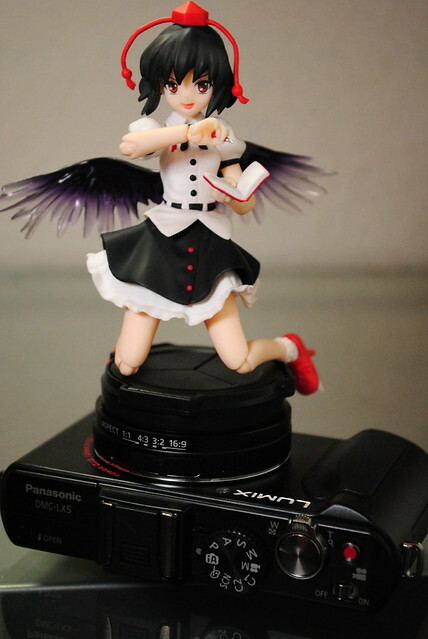 The flash neatly retracts into the body of the camera and stays out of the way. 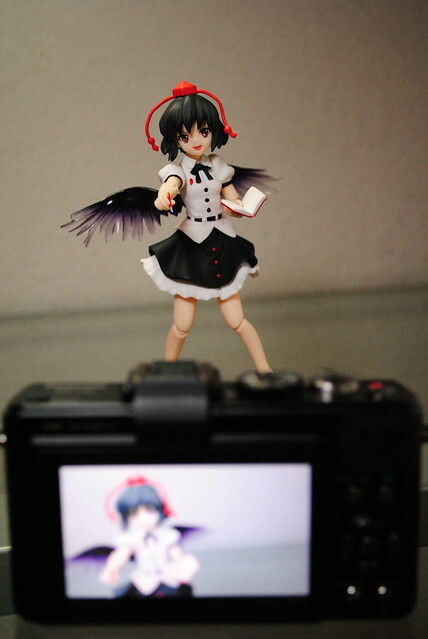 I like that since I don't use the flash at all when I do my figure photography. Since I failed at properly using the LX5 no comparison pictures with my D3000 or stand alone pictures either. That will have to wait until after I can use it properly out of auto.